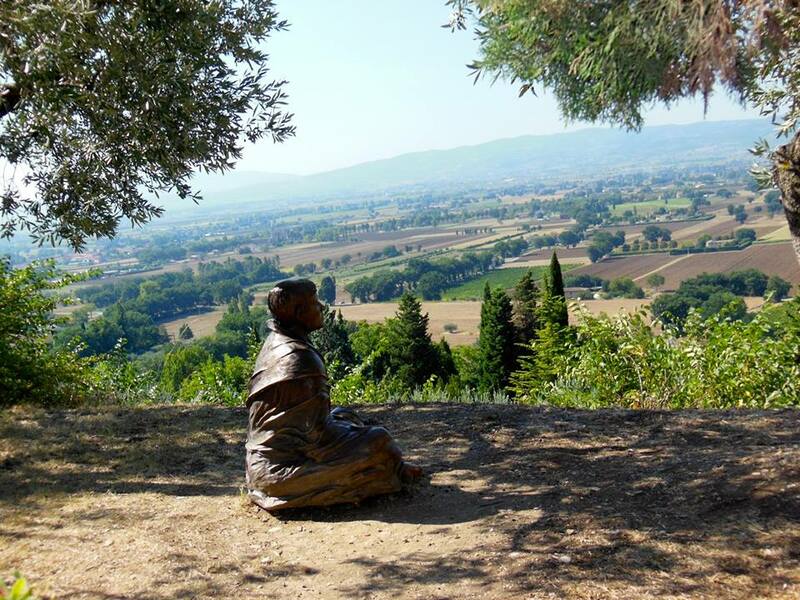 I watch with interest as Pope Francis embarks on his first trip to Assisi tomorrow, a pilgrimage with eight cardinals, to celebrate the feast day of St. Francis. Pope Francis will walk in the footsteps of the saint as he visits various Franciscan sites. I picture the places he will visit and wonder what impact they will have on him. At the same time, Pope Francis teaches me what it means to walk in the footsteps of St. Francis as I re-enter my life in a twenty-first-century, North American world. Finally, Pope Francis, like St. Francis, is reforming the church. He has dedicated the first three days of October to meeting with the eight cardinals who will work with him on reforming the Vatican administration, restructuring the church to serve the world rather than itself. It is no coincidence that this is the group that will travel to Assisi tomorrow, drawing inspiration from one of the greatest reformers of the church, who, like them, lived in a time of materialism, violence, and a self-serving church. Tomorrow, Pope Francis walks in St. Francis’ footsteps in Assisi. The next day, he will continue to show us what it looks like to walk in St. Francis’ footsteps in our world today. May our imaginations be ignited with the possibilities he inspires.